Lettuce (Lactuca sativa) is a temperate annual or biennial plant of the daisy family Asteraceae. It is most often grown as a leaf vegetable. In many countries, it is typically eaten cold, raw, in salads, sandwiches, hamburgers, tacos, and in many other dishes. 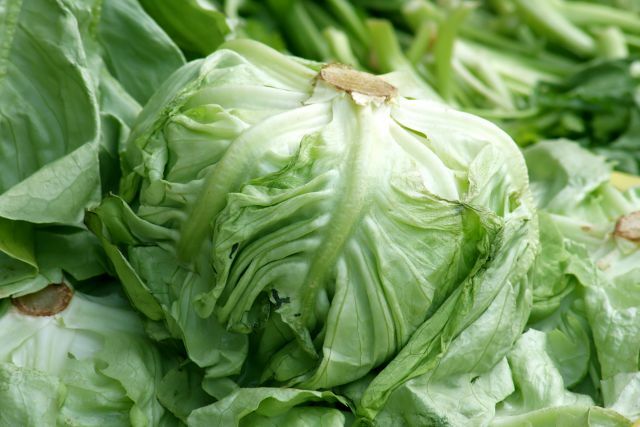 In some places, including China, lettuce is typically eaten cooked and use of the stem is as important as use of the leaf. Both the English name and the Latin name of the genus are ultimately derived from lac, the Latin word for “milk”, referring to the plant’s milky juice. Mild in flavor, it has been described over the centuries as a cooling counterbalance to other ingredients in a salad.